A learning community where everyone can flourish. Hello, I would like to extend you a very warm welcome and thank you for taking the time to visit our website. 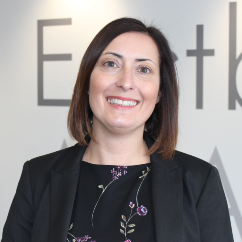 My name is Victoria Stevens and I am privileged to be Principal here at The Eastbourne Academy. We are an established school in East Sussex which continues to go from strength to strength. In 2017, Ofsted confirmed for the third time in a row that we are a Good school. They said “Pupils are immensely proud of their school and are keen to learn” and we agree! As part of the Senior Leadership team here for the past ten years and having led Teaching, Learning, Curriculum and Staff Performance, I am incredibly proud of what we have achieved for our children. Students, staff and parents have worked together to secure our highest ever examination results and our best ever attendance. Our traditional values, where every student is expected to Learn, Engage and Respect and this strong sense of community, is at the heart of this school. We are fortunate to have excellent buildings with modern resources which gives everyone a warm, welcoming and friendly place to learn and one that challenges them to be their best. Equipping every student and teacher with an iPad helps bring subjects to life and support learning in an exciting way. The student leadership at The Academy is unique and very strong, providing many opportunities for our students to become involved and have their voice heard. As well as our amazing range of trips and after-school activities, such as Rock Challenge and Warhammer - there is something for everyone! This could be your first step to becoming part of this vibrant, successful and inclusive learning community, where both students and staff thrive. I invite you to come and see for yourselves what makes us so special. The Eastbourne Academy is a caring school which aims to be the school of choice for its community. Every person is expected to Learn, to Engage and to show Respect. To achieve this, we have outstanding programmes of student leadership which give exceptional opportunities to our students to develop the skills and qualities they will need to succeed in their future lives and careers. Our strapline is “Your future at your fingertips” and this means that every student is encouraged and expected to take responsibility for using our amazing 21st Century facilities and resources to be the best they can be. We are dedicated to giving our student's a broad and balanced education in a supportive and stimulating environment where every child's potential can be realised. For the 8th year in a row, our Higher students that achieved passes in English and Maths at the equivalent of C or above. The Eastbourne Academy offers a broad and balanced curriculum leading to a variety of well-chosen examination courses. Alongside the basic equipment, rooms are equipped for screen printing, block printing, clay work, computer-aided design, acrylic painting, batik and embroidery. The Department has recently invested in a set of digital cameras so students can develop their photography skills. At Key Stage 3 students will study a range of themes including Portraiture, Landscapes, Sculpture, Graffiti Art and Textile Design. Within these themes, they will explore the formal elements of line, tone, colour, pattern, texture, shape, form and space. At Key Stage 4 students are currently following the AQA Unendorsed Art and Design GCSE. This GCSE consists of 60% controlled assessment and 40% exam. Students will have the opportunity to take part in various visits and trips to support their studies throughout Key Stage 4. KS4 students have been on trips to the National Portrait Gallery, Tate Modern to look at portraiture. They have also visited Hampden Park to work on their photography skills. KS3 students have all had the opportunity to take part in ‘Our Space’, an Academy photography competition. In Key Stage 3, students will learn all of the following: How a computer works, binary coding, spreadsheets, databases, online communication, web design, system control, game making, computer programming, e-safety and digital literacy. Students have access to the Academy network 24/7, an academy e-mail address and, through the website, access to homework and shortcuts to recommended websites. All year groups are issued with iPads that they will be able to use at the Academy and at home. In Key Stage 4, students have the option to follow a GCSE in ICT and students are encouraged to develop their understanding of computing with the need to expand into new information communication products. All students at KS3 study Design and Technology on a half year rotation between Food Preparation and Nutrition and Product Design. At KS4 students are able to choose if they wish to continue to study the two subjects as part of the options process. Students workbooks and GCSE portfolios are completed electronically on iPads and laptops and marked electronically with feedback on how to improve and reach targets levels. Termly homework is on the school website for parents to view. Our goal is to make students independent in the kitchen and equip them with the practical life skills of being able to make their own nutritious meals. We aim for students to be inspired by cooking and to make healthy choices. We want students to be good citizens by gaining knowledge about sustainable, seasonal and local ingredients. The department supplies the ingredients to cook with and take away containers for students to carry food home. This is to support busy parents in saving time and money by buying ingredients in bulk and having everything ready for students when they enter the lesson. Parents pay for ingredients termly on ParentPay. KS3 students cook every other week in two-hour lessons to give students the opportunity to develop their cooking skills and complete theory tasks on single lessons. They learn to cook a repertoire of mainly savoury meals. Year 10’s are studying the new AQA GCSE in Food Preparation and Nutrition. Taking on new challenges such as cooking meals from other cultures, filleting fish and boning whole chicken. Year 11’s are studying the AQA GCSE Food Technology which is a popular choice for students, they make good progress and regularly achieve good results. Students spend five hours a week in Food, two hours practising their cooking skills, two hours on their digital controlled assessment tasks and one hour of exam preparation. The controlled assessment task is currently to design and make attractive sweet and savoury foods suitable to sell in a coffee shop. An after-school club is held each week for KS3 students with a different theme each term, which have included Christmas cooking, Curry’s, Healthy Eating and Pasta Making. KS4 students are able to attend weekly revision sessions. Students are encouraged to enter competitions such as Chef of the Year, attend Masterchef at Brighton University, and organise food events to raise money for our chosen charities. Our goal is to make students independent designers who have the ability to manufacture their designs in a range of materials. We will equip the students to go on to train and work in the construction, engineering, fashion, textiles and building industries. Students are taught to use a wide variety of hand and machine tools safely within the workshop to complete set projects. Alongside this, students are able to develop their graphic design skills using sketches and computer-aided design to help complete projects and manufacture their computer designs on our CAMM machines and laser cutters. Students are currently studying AQA GCSE Product Design. The course consists of 60% controlled Assessment and 40% written exam. The department consistently meets and exceeds government progress targets. Extra- curricular opportunities for students include STEM club, Digital Genius race team and visits to local colleges and universities. The English team believe in three key elements: that we should put the enjoyment of learning at the center of what we offer; that we should seek constantly to challenge students to want to do better and in turn challenge us as teachers to enable them to do so; that everything we do combines to enable students to become rounded, confident and skillful users of language. The department has developed schemes of work for KS3 that recognise the more sophisticated abilities of our students and challenge the more able to achieve well whilst also being differentiated so that students who may find access to the curriculum difficult are fully supported in developing their skills and abilities. 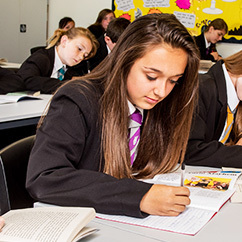 At KS4 students study the AQA 1-9 GCSE English and English Literature courses. For literature, students study a wide range of texts, from Jekyll and Hyde by Robert Louis Stevenson to the poetry of Browning. During their language study, students will explore the writer’s craft, whilst developing their own creative and non-fiction writing skills. The English department also offers a range of enrichment activities for students including Dr Hobbs’ English Masterclass, trips to the theatre and in-house performances, as well as national and academy competitions. Why are films so popular? How do films manipulate our emotions? Who makes films? How are different camera shots used in film? What’s the secret to creating a hit film? In Film Studies we cast a critical and analytical eye over all genres of film to answer these questions and many more. Film Studies students gain a detailed knowledge of film language and as such you will be able to ‘read’ films. Analytical skills will be sharpened and your ability to work independently will be increased. This course is more rigorous than previous specifications and is intended to provide students with a richer, more developed understanding of film and film making. Geography is one of the most popular subjects studied by students at the Academy. It is a subject that ensures curiosity about the world around us, inspiring student imaginations and understanding of different people, places and geographical processes. At Key Stage 3 students explore a wide variety of geographical topics, taking students on a journey from the shores of Eastbourne to the four corners of the world. In doing so students study the World’s ecosystems, Countries and Continents, Water on the land, Tectonic Process, Population, Development, Urbanisation, Tourism, Natural Disasters and Weather and climate. In studying these topics students are encouraged to develop the skills needed at GCSE, this includes a variety of fieldwork skills, which they acquire through a variety of fieldwork opportunities. Students are studying the AQA GCSE Geography A course. This covers elements of Human and Physical geography as well as large focus on geographical skills and analysis. There is also a 3rd exam paper that focuses on geographical enquiry and using skills learnt on fieldwork enrichment days. History builds upon each students growing understanding of the past. It takes students on a journey through the past, starting in 1066 and ending with terrorism in the 21st century. It also looks at other cultures such as the Native Americans. It enables students to understand the world around them, to empathise with others and to appreciate concepts such as significance, cause and consequence. In studying History, students will start in 1066 and follow an overview of British history through to modern day. The will consider the implications of these events on local history and visit local sites that are the result of these changes. They will also look at Britain’s impact on the world as well as studies of life as Native Americans, following their story through the American West to today. In looking at events of the 20th and 21st century students will begin to appreciate the importance and continued relevance of History today. To enhance the students learning experiences within History we offer trips to students including the opportunity visit the Imperial War Museum, Iceland the trenches of World War One, Normandy and Poland. We teach French and Spanish on a rolling programme, so year 7 are currently studying French and will continue to do so through years 8 and 9, at which point they will choose to continue the subject as a GCSE or not. The next cohort of year 7s will study Spanish from September 2017. Lessons focus on practical topics for visits to France and Spain, such as ordering a meal, going to the doctor, meeting and greeting, with a strong emphasis on reading, writing, speaking and listening skills. The team strongly recommends that students study a language at GCSE, due to the introduction of the Ebacc. This will also help with their university application and widen their career opportunities. Students prepare for the AQA GCSE syllabus which assesses four skills; reading, writing, speaking and listening. 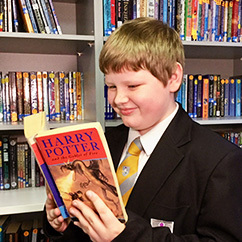 As at KS3, importance is placed on practical situations such as booking a hotel room, getting information from a tourist office, planning for the future and various everyday situations. Following 3 successful annual visits to Paris and a visit to Barcelona in June 2016, we will be launching our first ever exchange with a French school based in Menton, during which students will be given the opportunity to visit 3 different countries. We will also be taking the year 7s to the Opal Coast on a day trip for the second time in March 2017 and intend to offer another residential Paris trip in 2018. Our students also take part in the European Day of Languages and enjoy speaking in a variety of European languages with staff and students across the school. Whenever the opportunity arises we send students to local primary schools to help with language days. At The Eastbourne Academy we believe all pupils should achieve their individual goals and appreciate the wonder and power of Mathematics in an exciting and encouraging environment. To enable this, we believe that we should all work together to provide high quality and wide-ranging learning experiences and to provide and use quality resources. The students follow the AQA 1-9 course in Mathematics. The examination for this course is based on three papers. The department runs regular support sessions for Year 10/11 pupils to assist in preparation for their GCSE exams. Pupils from other year groups can make arrangements with their teacher as to when further support can be provided if required. Performing Arts is the home to Dance, Drama and Music and integrated Performing Arts. Performing Arts helps to develop a social awareness and ultimately develops the confidence and skills of young people. At Key Stage 3 students follow Performance Studies, which includes Dance and Drama and Music. At Key Stage 4 students can opt for BTEC Performing Arts, which offers discrete Music, Dance or Drama pathways, as well as a combination of a range of artforms. Other Level 2 qualifications are also offered such as GCSE Music and Arts Award. KS4 Performing Arts is a highly successful course with student’s achievements significantly exceeding National Averages. The Performing Arts department offer a large range of extra-curricular activities to students including dance club, singing lessons, Rock challenge club, open door music jam, Choir, Rock School, Performing Arts club, Peripatetic tuition from County music service, as well as GCSE Portfolio clinics. Students are also given the opportunity to take part in the KS3 or KS4 showcase and can take part in the school musical. As well as the extra curricular activities students are also able to take part in theatre trips and Eastbourne Youth Radio. A full range of resources and equipment is available for each of the sports taught at KS3 and KS4 and facilities are excellent, including a 3G astro-turf surface, a sports hall, the Academy hall, a weights room, two squash courts, four tennis courts, a dance studio and the Academy field area. Students are required to wear full PE kit for all lessons. Twelve different sports modules are taught at KS3 including Football, Basketball, Athletics, Gymnastics, Dance, OAA and Netball. Cultural Games is taught and Leadership is offered. At present The Eastbourne Academy is only offering single award AQA GCSE in Physical Education. A very extensive Extra Curricular Schedule that runs all through the school year is on offer. The Eastbourne Academy competes in Eastbourne , County and National Competitions. Most successes in recent years have been in Boys' and Girls' Football, Basketball, Triathlon and Rugby. At Key Stage 4, GCSE PE is offered that has a blend of Practical and Theoretical work that make up the assessment. The PE Faculty have been on trips recently to Wembley Stadium, The Sovereign Centre, Universities, Sussex County Cricket Club, Brighton and Hove Albion matches and to New York working in conjunction with Humanities. Our ethos is that learning should be student-led, active and contextualised. Seeing how science fits into our everyday lives and how it challenges our understanding, we help students to appreciate the key concepts and the relevance of what they study. At Key Stage 3, students study a combination of biology, chemistry and physics. Units cover a variety of topics including cells, interdependence, particles, energy and forces. Practical work is an important part of science teaching and is included in as many lessons as possible. Students will have tests in class at the end of two modules to assess progress against their targets. All students at Key Stage 4 study GCSE science. Our current year 11 students study science from the Edexcel 2011 specification. All year 11 students are studying Additional Science, worth 1 GCSE, following their Core Science exams in year 10. Additional Science is predominantly an exam-based qualification (75%), although there is a coursework element, worth 25%. Year 11 students also had the option of choosing to do a third science GCSE, thus achieving ‘triple’ science. Year 10 students study science from the Edexcel 2016 specification. With this new specification there are two possible qualifications, those being ‘combined science’ (formerly known as ‘double science’ and worth two GCSEs) and triple science, where students achieve three GCSEs in biology, chemistry and physics. Combined science is an exam-based qualification (100%) although there are compulsory practical activities that need to be completed during the course. The combined course is a two year course which results in a double award in science (equivalent to 2 GCSE’s). Pupils have the option of choosing a third science GCSE, thus achieving ‘triple’ science. Pupils choosing this option will complete the combined and triple content throughout years 10 and 11. The Science department offer a STEM (Science, Technology, Engineering and Maths) club for all students. The Science department also regularly offers additional opportunities for students to take part in workshops, university and industry visits to widen students understanding of the opportunities available to them with Science qualifications. The Sphere Curriculum is a continually developing programme of study that student’s value. The curriculum keeps up to date and informed about all local, national and world issues. We are a Stonewall Champion school and have been awarded Investors in Careers Stage 3 in recognition of the work we do in both areas of the curriculum. *** Safety Education runs throughout all units of work. Our focus is to encourage the students understanding of the community and world in which they live. They will develop a range of skills including communication, team working and their ability to value and challenge the opinions of others. We also put an emphasis on developing employability skills throughout the curriculum. This will prepare them for the world of work and life beyond school and support them in their emotional and social development. Students will also have opportunities to develop their literacy and numeracy skills throughout the course. Students have recently taken part in the Enterprise Challenge, The Big Vote, Take-Over Day and Digital Awareness Days. An enrichment programme is organised and delivered within the Sphere year 7 and 8 programmes. Theatre, cultural and outdoor adventurous activities are planned for all students.